In many developing countries, current low-income housing strategies prove to be not only inefficient but also unsustainable in their designs, material and construction choices, and are impeded by high costs and inhibiting policies. In this regard, place-based responses are essential in the approach. This includes strong participatory processes to address existing realities and needs, allow community empowerment and provide long-term appropriation and self-sustainability. It also means taking advantage of local materials and related construction skills within a community, the existing cultural traditions, and surrounding ecologies in order to provide adequate solution at all scales (housing, infrastructure and urban design). 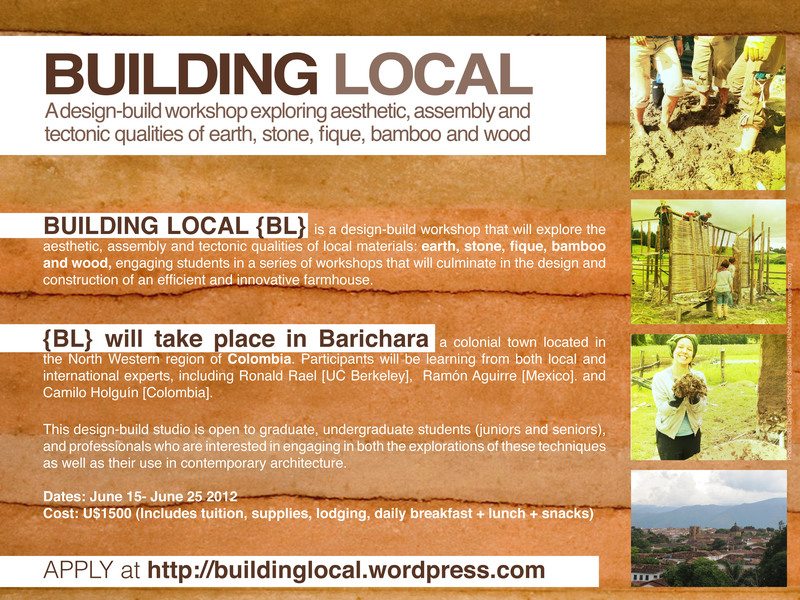 With that said, I wanted to share information on BUILDING LOCAL, a design-build workshop that will take place in Barichara, Colombia from June 15 to June 25. The design-build studio will explore the aesthetic, assembly andtectonic qualities of local materials: earth, stone, fique, bamboo and wood, engaging students in a series of workshops that will culminate in the design and construction of an efficient and innovative low-income dwelling/farmhouse. Barichara is a small town of 8000 people located on the Andean hills on the North Western region of Colombia, in the Department of Santander. With colonial architecture dating back to 1705, and traditions of earth and stone constructions, Barichara is one the historical landmark in the country. Currently, as the town transitions from an agricultural economy to a service based economy –relying primarily on tourism- new residents are moving in and the town is experiencing various environmental and social transformations. On the one hand, these transformations offer new opportunities for innovation, further experimenting with local materials and the existing building typologies, yet, on the other, they reflect a troubling condition for local farmers, or campesinos, that are now searching for their own space among the incoming residents and within the new economy. 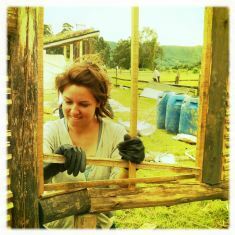 Barichara is therefore a unique place to learn and explore local construction techniques, while requiring a multi-dimensional proposal that addresses and engages the socio-economical and environmental impacts of a transitional economy.